إن فندق Aitutaki Lagoon Resort and Spa بموقعه الممتاز في هذه المنطقة السياحية هو نقطة انطلاق جيدة لنزهاتك في هذه المدينة المذهلة. يقع الفندق على بعد 10 km من مركز المدينة، ويؤمن الوصول إلى أهم مراكز المدينة. يوجد العديد من المعالم السياحية الأكثر جذبًا للسياح في هذه المنطقة. يعمل Aitutaki Lagoon Resort and Spa على ضمان إقامة مريحة لضيوفه من خلال خدماته الممتازة وحسن ضيافته. يمكن لضيوف الفندق الاستمتاع بالميزات التالية على أرض الفندق: خدمة التنظيف يوميًا, متجر هدايا/تذكارات, خدمات بريدية, متجر, تخزين الأمتعة. تعكس غرف الفندق البالغ عددها 36 المنتشرة في 1 طوابق جواً من الدفء والألفة.خدمات عصرية مثل تلفزيون بشاشة مسطحة, قهوة فورية مجانية, شاي مجاني, مشروب ترحيبي, بياضات موجودة في بعض الغرف المختارة. يقدم الفندق خدمات رائعة كمثل كنو, السهام المريشة, الغوص السطحي, حوض استحمام ساخن, شاطئ خاص لمساعدتك على الاسترخاء بعد نهار طويل من النشاط والتجوال في المدينة. مهما كانت دواعي سفرك فإن Aitutaki Lagoon Resort and Spa هو خيار ممتاز لإقامتك في المدينة. يقبل المنتجع التعامل عبر بطاقات ماستر كارد وفيزا فقط. ينصح العقار النزلاء بشراء تأمين السفر الملائم لهم لتغطية المصروفات الناجمة عن أي ظروف غير متوقعة قد يتعرّضون لها خلال فترة الإقامة. 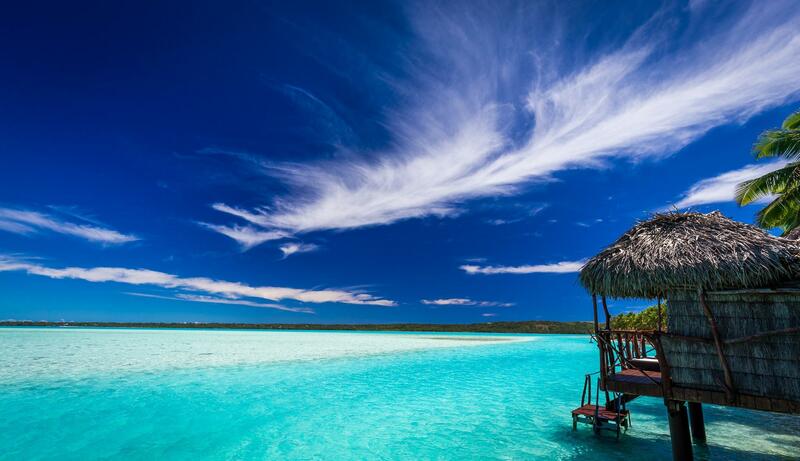 Definitely the first choice in Aitutaki! Beautiful view, nice staffs, good dinner. Totally love it! 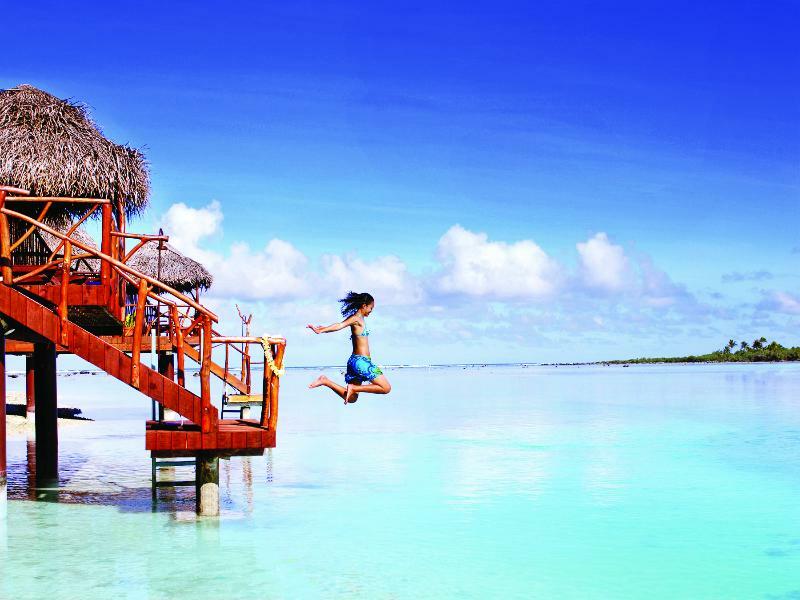 Best views of the lagoon over any other hotel in Aitutaki. 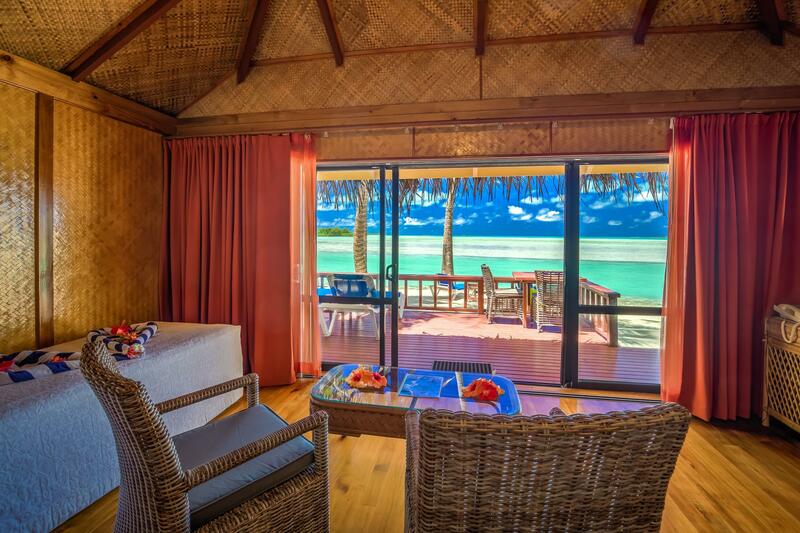 Overwater bungalow is great if you can find a deal (they are expensive). Service was wonderful. Large continental breakfast spread with optional a la carte egg dishes. Fun Island Night crab race and island culture show! The hotel is dated, old and dirty. The room and bathroom were awful.. The bathroom was so hot with no air- conditioning. The room was never swept and covered in sand. Basic breakfast. Mosquito plague. A review of stay card was never given to me to complete The lagoon is beautiful and the hotel needs to be demolished and rebuilt completely. I will never stay at this hotel again. The nightly charge is a rip off. The location of this little island is perfect. The lagoon is stunning and peaceful, the best place for water sports. All the resort staff are friendly and the service is top grade. The equipment like kayak, paddle, snorkeling stuff are all free of charge. If I had to pick one shortcome, I’d say there could’ve been more options for buffet breakfast. 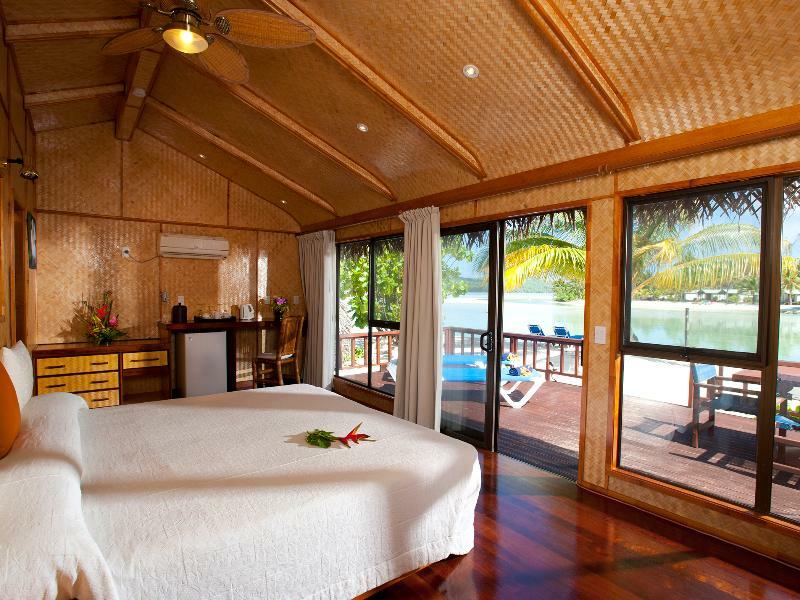 All in one, this is definitely the first choice (maybe only) for staying in Aitutaki! The pictures that are seen on their advertisements are out of date, there is very little easy access to the beach. when relaxing outside your room there is no shade on the deck and on the ground sun loungers you feel like your sitting in the middle of a road. On a positive the staff are friendly and do anything to make your stay enjoyable. The equipment available to use for snorkeling is ok but recommend people bring their own reef shoes as you really do need them staying at this resort, the resorts reef shoes are worn out. The only positive I can give this resort is that the transfer from the airport to the resort was well organized. From there it definitely went down-hill. The location is fabulous, but the resort is not worth the money. It is in my opinion a 3 Star. The resort is extremely run down and in need of some serious upgrading. It has been on the market for several years for $35 Million and I'm not surprised that it has not sold. We were told that staffing was an issue, which reflected in the lack of service. Way overpriced for what you get. Spent $2500 for two nights in overwater bungalow. Probably got $250 of service if that. Breaks my heart thinking about it. Thought we were going to be spoiled. Far from it. Dirty coffee cups reported at 8am and not replaced until 4pm when room serviced. Who services there best rooms at 4pm in the afternoon! Inclement weather unAvoidable but no backup plans for guests. Would never go back. So mAd at myself for spending so much money when the other two places i stayed at were quarter the price but truly beautiful with fantastic service. Having your own little ferry to arrive at the resort is a great introduction. Luggage moves seamlessly from vehicle to room and visa versa to the airport. Villas are spacious and views are relaxing and glorious at the same time. Bar / restaurant hours are limited to 9pm so if thirsty start earlier or have back up supplies! Staff are friendly and are unobtrusive and efficient. A good experience. This resort is not 4 1/2 stars, more like a 3. The rooms are getting on and the rooms while serviced, they were not cleaned, eg bathroom basins, vanity, mirror. Time for some serious investment into the property into an upgrade. A number of the bungalow rooves were ratty. Way over priced for what you get. The restaurant which Burt down while we were there had a great outlook but the food was very ordinary. Stain on sheets, Rude staff in restaurant, food came uncooked and sent it back and could hear in ear shot rude comments made about us and that promoted my friend to get up and leave - we did not eat at the resort again after this incident. Appalling to see that you have to pay extra for a hot breakfast..eggs, bacon, sausages etc etc for the price you pay to stay here you’d expect nothing less than a hot breakfast included like many of the 5 star resorts I’ve been to, the tropical breakfast is laughable. The facilities are poor, pool table sticks completely worn down and the ‘pool’ looked shabby and not like the photos and the ‘spa’ was half empty and inoperative. If you are expecting food & beverage service while you’re lounging in the sun on their shabby sun loungers, don’t - because they don’t offer this at all!!!!!! I would NOT recommend this place, I’m so so so so so dissapointed I could cry. My fiance and I stayed in an over water bungalow for $1100 per night. The roof was falling apart. The deck railing was rotten and you couldn't lean on it let alone rely on it to keep you safe. The stairs to the lower deck were falling off and the lower deck itself was leaning to one side and felt unsafe as well. The screen door was broken and hard to open and close. The outdoor shower has a garden that was unkempt and the bench was broken. There are huge piles of trash in the middle of the island where the resort dumps old lounge chairs and other construction debris. The food looked good but had very little flavor. The front desk seemed as though they couldn't be bothered to help us when we needed something. 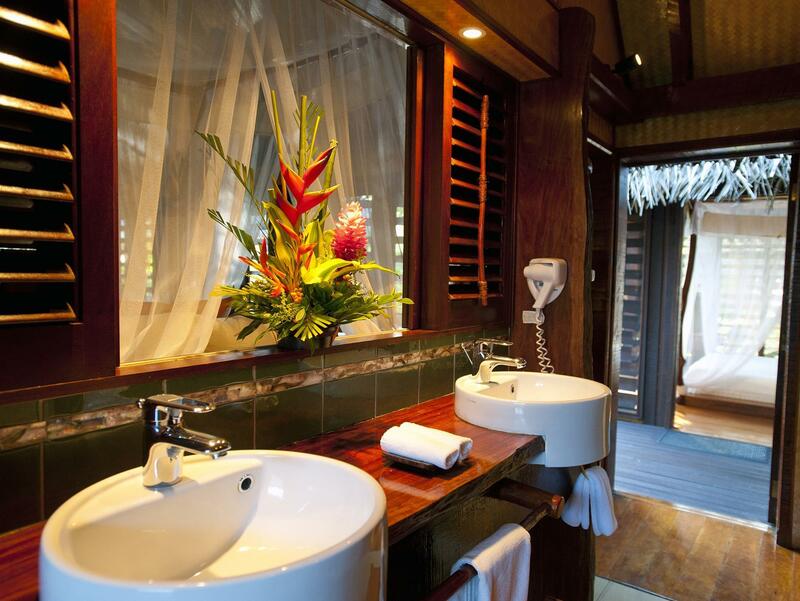 Overall, poor service, unsafe facilities and room prices far beyond their worth leave me suggesting that prospective guests to Aitutaki stay anywhere but at the Lagoon resort, especially not an over water bungalow. We paid a 1,000 NZD for a overwater bungalow. Sadly the hospitality was very bad - on the reservation it said that breakfast was included but we were suprised to find out that the "breakfast" that is included is only fruits and if you wish to add bacon/egg - you will need to add an EXTRA of 20 NZD. We celebrated our honeymoon in Cook Islands and stayed in a few places which cost us much less and the value for the money was way better. We had very high expectations and turned out that it was our biggest disappointment during our trip. * day after, we stayed in Aitutaki Village which was 500 NZD cheaper and had better breakfast and way more friendlier people. We had an amazing experience with our group. Can't wait to go back!!! The staff were either fantastic, like the restaurant staff, or looked like they didn't want to be there! The welcome drink is a coconut when u get off the plane And a lei that looked half dead! Take mozzie spray as none is provided, and even tho it says breakfast included, that is just a tropical breakfast , hot stuff extra ! Great location, shame about the management, mark and sue, who we had to meet on arrival and again at dinner, Raina on the other hand was so lovely, kind and unassuming and couldn't do enough for us to make our stay a memorable one, personally I wouldn't stay here again, there are other great places 50 metres away with access to the same lagoon for at least half the price and much friendlier staff! 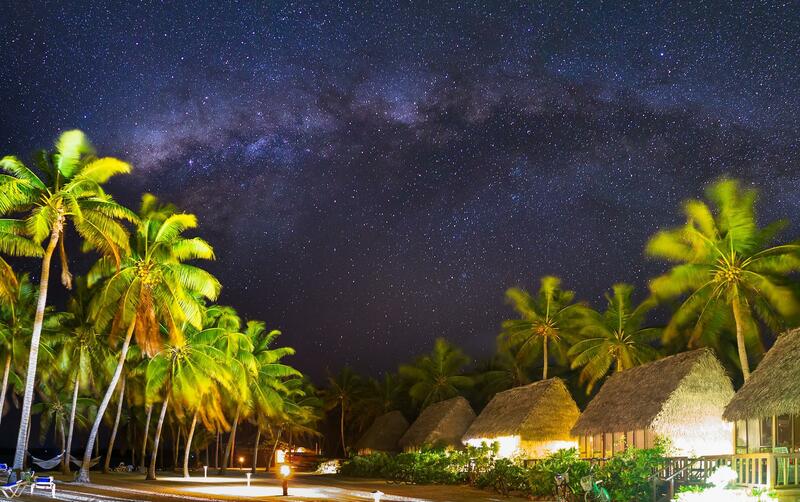 Amazing location, we stayed here and went to another high end resort to check it out but Aitutaki Lagoon Resort beats the other high end resort hands down! Stunning location for your photos - perfect location to kayak to the other islands, cycle around the island on free bikes, SUP paddle board and good food. Highly recommended! Shout out to Freddy! We thoroughly enjoyed our stay here. Very peaceful and quiet. Easy. Accommodations were fine but certainly lacking refinement to reflect the price charged; not sure where the owners are stashing away the thousands they are getting for these units, but certainly not back into the units or special touches you expect for the price - cold cloth upon arrival, private reception, stashed fridge, soft sheets, upscale breakfast, good room coffee (not freeze dried)etc. You get charged for every little thing - we wanted ice, and they charged $9- to bring it to our room - ridiculous. On a positive, we loved the staff - everyone is super and Mani even assisted us with our flight changes (and didn't charge us! ).